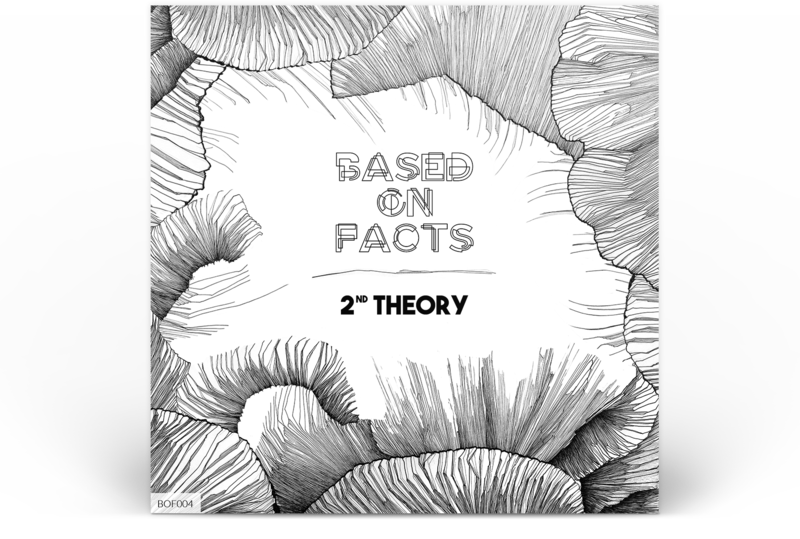 Based on Facts is a Paris-based collective of electronic music producers & DJs. Our individual styles are all very different - but if you like electronic music, you will find something you to suit your taste. Contact us on the form below to subscribe our newsletter and receive codes for free downloads of our music. Francesco studied classical and contemporary music at school then left it all behind for the sake of electronic sound. He plays the machines in an electro-pop duo called "the tape". He also composes weird soundscapes and rhythm-based EDM tracks. A classically-trained musician and multi-instrumentalist, K!ND is never more than two feet away from a keyboard, be it a piano, a synthesizer or a computer. Having grown up between Daft Punk and Pink Floyd, K!ND also draws his inspiration from science fiction universes to create bridges between music and technology. Cecile grew up in a musical household surrounded by the sounds of the 80s and 90s. After a long stint working in the airline industry, “CDG” (her real initials) finally gave in to her music passion and started training to become a professional DJ. Several months of dedication behind the decks and a few live shows later, Cecile CDG is ready to take you on a musical flight of fancy. PalmitoFR is an American Afro-Latin percussionist born in Lebanon and currently living in Paris. His music is inspired as much by folkloric drumming and Caribbean music as it is by electronica and clubbing, creating a rhythm-rich "future folkloric" sound in the vein of labels like Kafundo or Enchufada. After playing in different bands as a guitarist & keyboard player, M.A.L. has developed a taste for Blues and Rock music. His main influences are straight from the 60s. Groove & experimentation and are his main goals when composing. Originally conceived as a solo instrumental project, electronic sleepers progressively enriched itself through decisive meetings with other musicians, especially “MG", leading to the first ever songs created ('A Night With Me', 'Trouble In Paradise'), and more recently with A. Simper, combining his guitar chords with synth sounds. Alternating songs and instrumental tracks, electronic sleepers is a synthetic musical journey, focused on the details of sounds and the search for emotional tunes. Randomness is the new world order and RÔMAN:ESC guides himself to that. Artist, musician, DJ - Wakanda is a Music Cooker. Wakanda hails from the wilds of French Guiana, a land rich in ethnic diversity that inspires her art and music. Wakanda combines a wide range of styles - in her own music and in her DJ sets. Her secret recipe? An exquisite combination blending all the right ingredients: the rhythms of Afro/Tribal, the sweetness of House, the bite of Funk, the guts of Rock, the vitality of Ragga/Dancehall, the edginess of Hip-Hop and the maturity of R&B. And this musical recipe has already garnered many fans. Wakanda has been bringing fire to the Paris nightlife since 2011, playing exceptional shows at New Morning, Rosa Bonheur, La Rotonde Stalingrad, Cabaret Sauvage, and on and on. Her Music Cooking is also appreciated elsewhere like London, Madagascar, Mayotte, and of course her homeland of Guyane. Our second compilation album, out now! Another full Friday night at Bootleg Bar (55 rue de la Roquette, 75011) with special guest White Lie, plus RÔMAN:ESC and Cecile CDG. Axiom 4 - Friday 7 April w/ Mélyssa! 3DJs for Friday night! At Bootleg Bar (55 rue de la Roquette, 75011) with special guest DJ Mélyssa, plus Hippod and PalmitoFR.